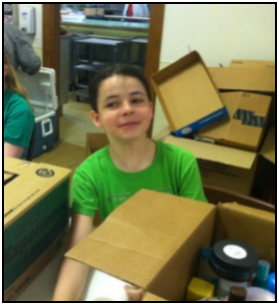 On Saturday, April 25, Webster Groves Christian Church served as the collection point for local Girl Scouts and their families and leaders as they organized over 30,000 personal care items to be used by neighbors in need in the St. Louis area. The items will be distributed through WGCC mission partner Webster-Rock Hill Ministries. 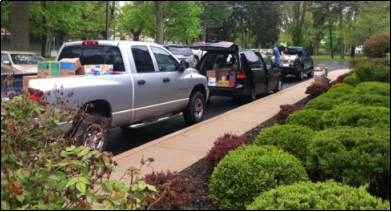 WGCC members, along with many other volunteers, served as organizers and sorters for the thousands of items that were donated on April 25. WGCC volunteers did a great job! There on the right is SEGA Moderator KJ Reynolds! Helpers came in all sizes and ages! Truckloads of donated items were delivered for storage until they're needed.